Consider an isolated dynamical system consisting of three gravitationally interacting point masses, , , and . Suppose, however, that the third mass, , is so much smaller than the other two that it has a negligible effect on their motion. Suppose, further, that the first two masses, and , execute circular orbits about their common center of mass. In the following, we shall examine this simplified problem, which is usually referred to as the circular restricted three-body problem. The problem under investigation has obvious applications to the solar system. For instance, the first two masses might represent the Sun and a planet (recall that a given planet and the Sun do indeed execute almost circular orbits about their common center of mass), whereas the third mass might represent an asteroid or a comet (asteroids and comets do indeed have much smaller masses than the Sun or any of the planets). 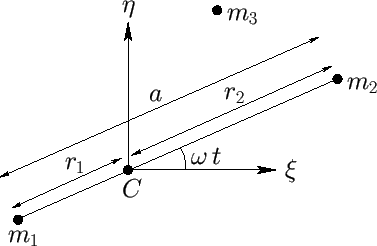 Figure 9.1: Circular restricted three-body problem.